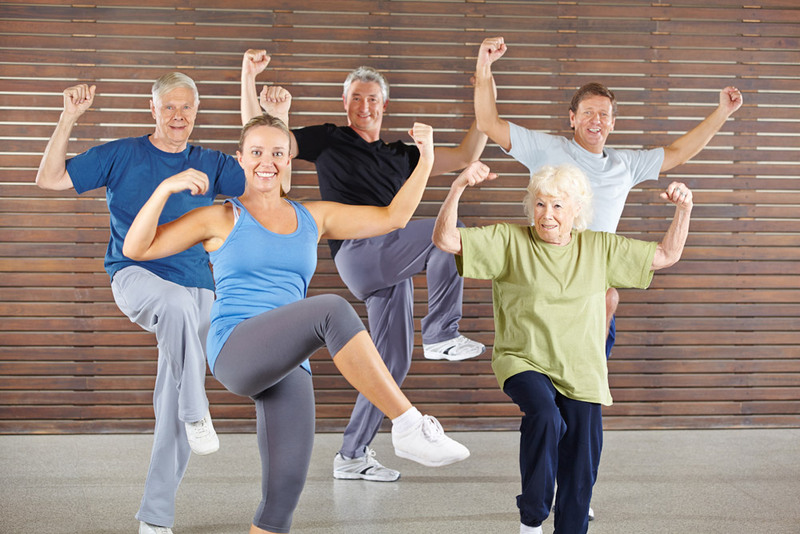 Seniors fitness programs in Canton, MA provide people of all ages and ability levels with moderate physical activity. As a matter of fact, the many benefits to exercising regularly for older adults far outweigh the perceived risks. Even seniors with chronic illnesses can exercise safely especially with the guidance of a certified personal trainer in a Seniors fitness program. The instructors develop a program based on the unique requirements of the older adults who are participating. These exercise routines are safe and effective for older adults. With Seniors fitness programs older adults will improve their cardio-respiratory and cardiovascular function. Regular exercise can contribute in lowering the risks of heart disease, high blood pressure, and other health conditions. By engaging in physical activities such as regular exercise, older adults are protected against bone density loss keeping the risks of osteoporosis at bay. As people get older, they can lose as much as 2% of their bone mass annually. Fortunately, regular exercise can help prevent bone loss, keep bones strong, and help maintain balance resulting in fewer falls. To find out more about the benefits of Seniors fitness program, contact Answer is Fitness.